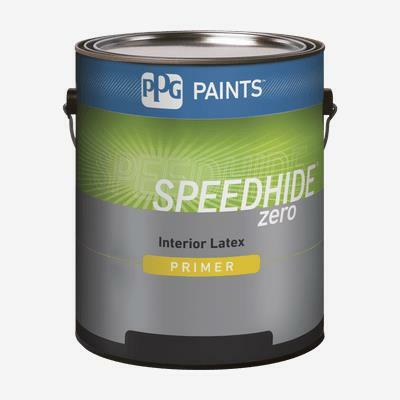 SPEEDHIDE® Zero Interior Latex Sealer is a professional grade zero-VOC** interior acrylic primer formulated to meet the performance requirements of professional applicators. SPEEDHIDE® Zero Interior Latex Sealer can be used as a primer under alkyd or latex finish coats and is ideal under a variety of finishes. This zero-VOC**, low-odor paint is ideal for painting occupied spaces while delivering the durable product performance required. It provides excellent sealing properties and is recommended for use on properly prepared interior wallboard and drywall surfaces, wood, and oriented strand board or particle board, and masonry.